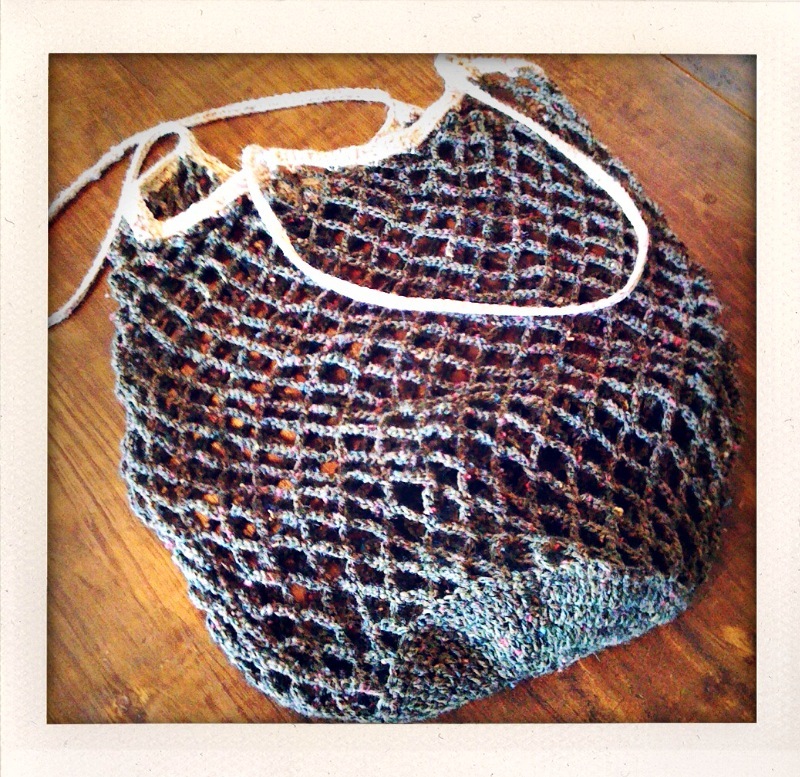 This little netted crocheted carryall has long been a favorite here at the shop. It works up real quick– you could probably even finish it in one sitting, and then it’s ever so useful and cute. With only two balls of Kraemer Tatamy Tweed you could make 2 bags, each with a contrast strap. Make sure you choose a washable yarn so your bag is easy to keep clean.